322 kilometres in one day! The 2019 TNT Hairshirt will be on Sunday, June 23. Pre-registration is required for all riders - Click here. More and more cyclists are doing this ride and winning their bragging rights! Why not make 2019 your Hairshirt year? Scroll down to Preparation and Training for a program to do more than you think you can. "The Hairshirt is a personal cycling challenge whose name comes from a medieval form of penance, in which monks wore shirts woven of coarse horse hair designed to cause suffering. Our Hairshirt ride pits the lonely rider and their bicycle against the road and the elements, and for this reason the organizers provide no support other than a map and encouragement". The ride leaves Mississauga Celebration Square (map) at the corner of Duke of York Blvd and Burnhamthorpe Rd, adjacent to SQUARE ONE in Mississauga, at 6:00 AM. The Hairshirt is run rain or shine, i.e. the coordinator does not cancel or postpone the event in case of bad weather. It is up to each participant to decide for themselves whether or not to go on the ride. Lights are mandatory after dark, including a white light on the front. A spoke light on the front wheel is also advised. Participants must wear CSA-, Snell-, or CPSC-approved helmets. There is a participation fee for riders who are not TBN members. All riders sign in at the start. Finishers will have their times posted on this webpage. The Hairshirt was founded in 1978; and TBN assumed sponsorship in 1988. The records below go back to 1992. Some material from the 1980's (Hairshirt crests, letter, map) has been supplied by Gregory King, who came back from a 28 year hiatus to ride the 2015 Hairshirt. Questions, comments, feedback? Send an email to Dave at hairshirt@tbn.ca. GPS files are available to suit many devices. Click on the Export tab at the top of the right-hand pane. Try the RWGPS app on your phone. (If you are a TBN member and have joined the club account, or if you have a paid RWGPS account, you can download the route using Wifi at home, so you don't use up your data on the ride. The Handle-bar setting turns the screen off so your battery lasts longer). 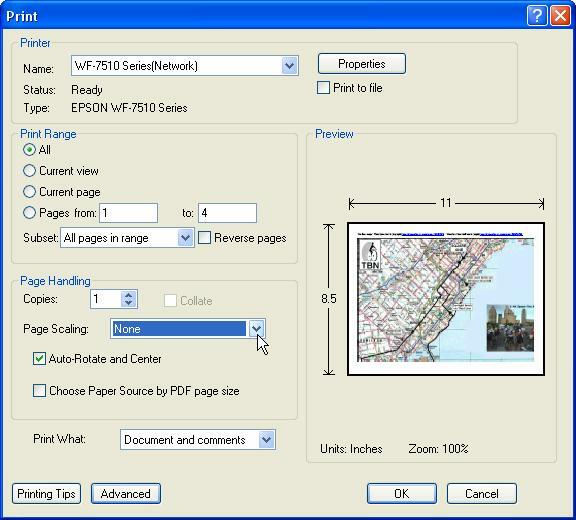 Map: Map_on_4_pages (When printing the four-page map, set the "Page Scaling" to None Printing_hint_for_map). YouTube videos: Short video 2011 Hairshirt Part I 2011 Hairshirt Ride Part II. Here is a list of bicycle shops (compiled a few years ago). Unless you enjoy suffering you should be prepared. Your biggest assets will be training, self-sufficiency, and self-confidence. Self-sufficiency comes from the ability to effect simple repairs on your bike and having the right clothing and equipment. Self-confidence will flow out of self-sufficiency and the knowledge that you've trained enough to complete the distance. Sub-11 hour double centuries require actual training regimes! Train at the pace you plan to do the ride at, or faster. Eat and drink as you plan to do on the ride. Complete weekly cumulative distances of 300 km or more by the end of May. (Remember that the Hairshirt is relatively flat so if you do most of your mileage in hilly terrain you can reduce the mileage figures). Two weeks before the ride do back-to-back centuries on Saturday and Sunday. The following Saturday do about 220 kms. The next day you should do an easy spin (active rest) of 50 km or less. You can ride through the week but avoid any hard efforts. Starting Thursday make sure you eat well for the next three days. Get plenty of sleep Friday night. Not a good day to experiment with new equipment, clothes or food! Ideally you will be riding a mechanically-sound, drop-handlebar road bike. Bring a pump, patch kit, spare tube(s), tire levers, multi-tool appropriate for your bike. A spare fold-up tire is good insurance. Clothing Whatever. Don't use the ride to break in a new pair of shoes or shorts, however. Food Gourmands and omnivores can buy stuff along the way randonneur-style, but a handlebar bag/seatpack/fanny pack filled with high-carbo energy foods is a popular idea and great for picky eaters. There's no guarantee you'll be able to find your favourite foods when you need them. Water On a hot day you'll need lots of liquid and water is the least complicated to absorb, but pay attention to replacing electrolytes, as well. You should have at least two 750 ml water bottles on your bike. Throw in a 2 liter camelback-style reservoir and proper hydration will be the last thing on your mind as long as you remember to drink before you're thirsty! The Unforeseen You'll need a plan to get back home if your bike gets trashed, your tire gets chewed up, your freewheel explodes, or you just get exhausted. There are bus stations along the route, or you could arrange to have someone to come pick you up. Just remember to bring your Visa, cellphone and/or calling cards! Reporting your time Time reporting is on the honour system. Your Hairshirt time is your total time (elapsed time) from when you left the start point to when you got back to the start point. Please send an e-mail with your time to hairshirt@tbn.ca within a day or two. If the lift bridge was raised at the Welland Canal or at Hamilton, you may deduct your waiting time from your total time. If a group that stayed together finishes together they should agree on the same time. Memories of Hairshirts Past While the Hairshirt is a non-competitive event and the TBN is a non-competitive club some participants do compete against their own personal bests. We see nothing wrong with this as long as they don't blow any stop lights along the way! Special mention. Youngest finishers: Alex Zheng 16 (2018), Jim Nicholson 16 (2009). Oldest finisher: Dave Mader 76. Finishers 17 and younger: Brian Yee (2009), Mitchell Kaiser (2009), Jake Williams (2009), Jim Nicholson (2009). Finishers 70 and older: Ken Caven (1996), Dave Mader (2011, 2013, 2014, 2017), Peter Middleton (2017). Most Hairshirts: Ron Clark (15) - 2018. 2018 Hairshirt - 40 finishers. The weather forecast was 22C with showers and risk of thunderstorms. 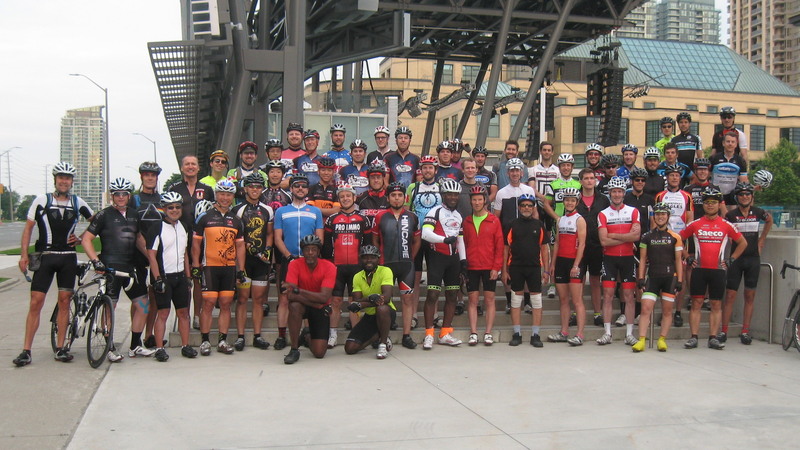 Even so, 57 riders came out to the start, of which 50 made it into the group picture below. It was dry at the start, but the predicted showers turned out to be more or less steady rain for several hours, putting a damper on the ride. There were 40 finishers. Adam Bird and Larry Optis shaved 1 minute off of last year's record finishing time. Here are the personal thoughts that Larry shared on Strava: "There were so many moments throughout the day where we could have just given up the ghost and said, “You know what, it’s been raining for 5 hours - let’s just take it easy”, or “We’re all tired and it’s not meant to be”, but no, everyone in the group was fully committed and riding like men possessed. It’s as if there was something driving us forward despite the challenges and fatigue setting in. In life we all strive for genuine and authentic moments. I find these moments out on these epic rides - it’s all real, there’s no hiding, and people are often at their best. On this Sunday I witnessed 5 other riders pushing their limits on all levels. Everyone in that group played an integral role in setting the tone for the day. I am truly grateful for this moment and proud to share it with such incredible souls." Ron Clark has set a new record for most Hairshirts (15). N is number of Hairshirts competed. Hairshirt 2017 - 67 finishers. A cold front moved through during the day providing cooler temperatures around 20C and wind around 30kph from the West/SW, as well as rain and hail in places. 85 cyclists signed in at the start, 67 finished the ride. Photo by TBN member Tran Le. More photos by Tran Le, Hong (John) Pham, Noel Tan, Halina Sandig, and Terry Walsh. Quotes: "Thanks so much for continuing to put on such a great event. I have been on the fence about doing the ride for many years and am so glad that I finally took the plunge. What a great day", "Thanks for the most awesome ride yesterday! Thanks again and I'm looking forward to next year! ", "Thanks for organizing the Hairshirt! This was my first Hairshirt, and suffer I did! I'd have to say that it's been one of the most epic ride I've ever been on", "Another great hairshirt, I've now completed it 8 times and I'm looking forward to more in the future", "My first Hairshirt ride and I thought it was superb - great roads, nice scenery and all things considered we were pretty lucky with the weather! I am a new member of TBN and this was my first event, hope to take part in more!" Elated: "Then it started raining, then pouring, then biblical pouring, then hailing. West winds slowed us down, but we stayed strong on Fly Rd. Rain and traffic through Burlington wasn't fun for me, but the others kept it fast. Very fast along Burnhamthorpe. Came in at 9:11 - cutting 22 minutes off the old record. Elated." Thanks to Halina Sandig who ran the reception desk. Eighty-eight riders gathered at Mississauga Celebration Square for the Hairshirt ride on a hot and windy day. A record number of riders (76) finished the course. A lot of riders came back for their second Hairshirt this year; and the proportion of second-time riders doubled from last year. The lead group came in with the second fastest time ever. Ron Clark set a new record for finishing the most Hairshirts - fourteen. 2016 Special Mention Congrats to Ron Clark who has finished 14 Hairshirts, the most ever. Quotes: "It was my first time and I had a blast! ", "A tough one this year", "Good ride, glad I did it! ", "I had three tubes blow up on me", "A great experience! - amazing map and directions", "Thanks for a wonderful weekend of suffering", "The last stretch was really slow, I was tired (understatement)!! ", "Thanks for a memorable day! Your ride motivated me to push further than I have ridden in the past. See you next year! ", "Thoroughly enjoyed it beyond words and had the best sleep ever that evening. Thanks so much. ", "Thanks for organizing the event. It was my first time and I really enjoyed the experience"
June 21, 2015 - 53 finishers. The group picture was taken at Mississauga Celebration Square. The turnout was excellent considering that the forecast varied from 24 C to 29 C, and from clear to 70% POP with lightning. The actual weather was high of 26, mix of sun and cloud, wind 20 gusting to 40 from the west in the morning and north-west in the afternoon. Quotes: "That was warm and windy", "I've been thinking of doing the Hairshirt for 18 years", "Great suffer-fest", "Epic", "Thanks for organizing", "Bad cold this year - see you next year"
There were 3 DNFs. We don't name those who didn't finish, but they win a virtual hairshirt for the most suffering. A record 54 cyclists set out on an ideal day: sunny, temperature 26 C. There were 49 finishers. 5 DNFs*. Photos on Flickr Photo credits: Larry Optis, Monica Peters, Ciprian Scriuba, Alex Titov. Noel Tan posted the pics on Flickr. Reported by Dave Mader. More photos, many taken on the ride, by Peter Murk Relive the excitement. enjoy! * Tradition says we don't name those who didn't finish, for whatever reasons, but they win a virtual hairshirt, for the most suffering. Individual experiences may vary, but overall this appeared to have been the toughest day since 2002. Very hot, humid, sunny AND windy. The thermometer got up to 32 degrees with a humidex of 40 degrees celsius. There were 32 cyclists at the starting line. Here are complete results. Six DNFs. Special congratulations to TBN'er Dave Mader, a last minute entry, who completed his second Hairshirt at the age of 72. Some event photos courtesy of Noel Tan, Jlen Dlsay, Pierre McAlpine and Dave Mader. And a few more from Adrian Andrei and Alina Ropota. Reported by Owen Rogers. Dave Mader 16:24 2 72!! 51 cyclists set out on the 35th Annual Hairshirt Classic on another beautiful day. Rain threatened in the latter stages of the ride and light winds swirled all day. The official start time was 6:17 a.m. Partial results below -- still waiting for about 3 to report in. Five DNFs. A new record turnout of 51 cyclists set out on the 34th Annual Hairshirt Classic on an absolutely gorgeous day. The official start time was 6:15 a.m. This year's ride featured a steady northerly wind, and partly sunny conditions. Partial results below. Four DNFs. Also, some photos courtesy of Noel Tan, Pierre McAlpine, Eugene Yatsenko, Jeremy Hatt (all first time finishers) and Rick Upton. We also have some video of the start from Jeremy's brother Jon. Will post anon. Dave Mader 14:07 R 70!! A new record turnout of 44 cyclists set out on the 33rd Annual Hairshirt Classic in near perfect conditions. The official start time was 6:07 a.m. Impressive new course records were set for the overall and what we'll call the 'open recumbent' category. 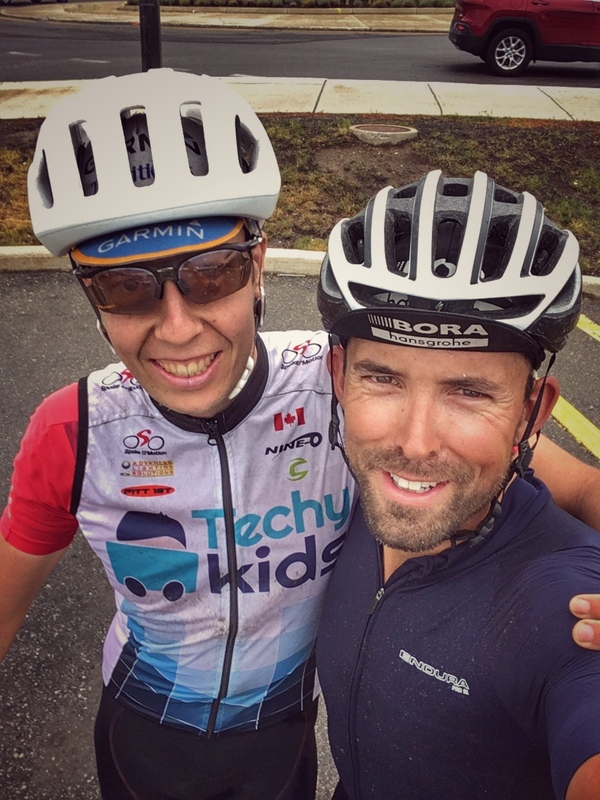 This year's ride featured light, mostly favourable winds, overcast conditions and the heat was tolerable, although the humidex rose in the early afternoon. This year's finishers fall into two camps: those who finished before 6:30 and those who finished in a wild thunderstorm. Sixteen rookies. Six DNFs. Ride report from Philip Koop.Geotagged photo gallery courtesy of Stephen Jones and another from Peter Murk. Special thanks to Mark Nieweglowski for checking the route. 26 cyclists started what has euphemistically been labeled an epic ride. Out of the twelve Hairshirts I've done it was certainly the wettest. Partial results below. Three DNFs. If you require a correction, let me know. Photo gallery with contributions from Dave Pearson, William Russell, Alex Titov and Hugo Van Ingen here. Jim Nicholson 13:34 R 16!!! 30 cyclists took part -- not bad considering the forecast. It was only sixteen degrees at the start with a steady southwest wind. Things stayed generally cool and overcast until shortly before noon, when fluffy clouds broke out as we passed through Niagara Falls. Late in the afternoon, in Stoney Creek a wicked hailstorm broke out forcing the first groups to take cover. Otherwise a great day to be riding an event like this. Thanks and congrats to everyone who participated, even our non-finishers who I'm sure will be back to try again. Special thanks also to the friends and family who sacrificed a day to drive support. Some great photos courtesy of three-time finisher Greg Williams and a ride reportby Rick Upton (PDF). Another record turn out of 43 cyclists participated in this year's event including 22 rookies. All but four managed to finish. The ride actually started on time (thanks, everyone), the weather was excellent, and winds reasonably favourable. 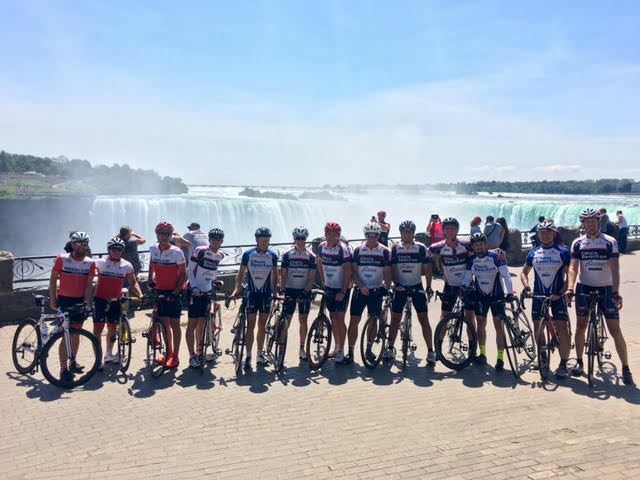 Peter Murk has posted his photos of the event start and scenes from the ride here and Ron Clark has written a story about his eighth and most successful Hairshirt experience. If anyone else took pictures and wants to post them let us know at hairshirt@tbn.ca. A record number of 42 participants (including 22 rookies) turned out for this year's event and with the most unfavourable wind conditions since I've been running this thing, it was good to have so many people out there helping each other around the route. 39 cyclists completed the ride including 19 rookies. Special congratulations to Thien Tran for his 13 hour ride on a fixie, Mike Maloney for navigating the entire course on a recumbent and 17-year-old Mitchell Kaiser for completing the ride at such a young age and in such impressive form. (For you first-timers, it's worth noting that because we did not have an orderly start to this event due to the volume of participants and the late arrival/departure of a few of you (and me), the order of finish may be a bit confusing.) Pics from Greg Williams. Mitchell Kaiser 11:40 R 17! Thirty cyclists including sixteen rookies started this year's ride. The forecast conditions of clear skies, a high of 33 Celsius and *smog* were less than ideal, but the winds were favourable and in spite of a lengthened course (I'll explain later), records fell. The group of five who finished at 10:06 are now co-holders of the overall record and Katharine Sodek managed to reduce her own women's (and TBN member's) record by 36 minutes to 10:09. Congratulations to everyone who participated. It's important to note that this year the route had significant, permanent changes. Over the years a number of ride veterans from the old days have commented the actual length of the "classic" route. Upon further and detailed investigation it was confirmed the route ridden from 1990-2004 (R.I.P.) was only 315 km. The new, improved route squeaks in at just over 322 km. It has a bit more climbing than the old route, but makes up for that by avoiding the traffic lights of Beamsville, Vinemount and Grimsby until Winona on the outskirts of Stoney Creek. 2006 will see further "refinements" to make this a safe, fun, yet challenging ride for the long distance cyclist. Some pictures courtesy of Peter Murk. And more in the TBN Photo Gallery from Frank Pilih and Jeremy Whitehorn and yet more from Greg Williams. Finally, a great ride report from Greg Wellman. Jake Williams 15:45 R 17! Twenty-two cyclists including eight rookies started this year's ride. Twenty finished. The forecast conditions of partly cloudy skies, a high of 23 Celsius and low humidity seemed ideal, but the wind, it blew... A couple of pictures and a vast collection courtesy of Peter Murk, et al. 'Twas the kind of Hairshirt we were glad to finish at all. Sixteen started, including two women. Three DNF's, due to the extreme heat. 27 people showed up to do the Hairshirt this year! 27, including 18 rookies! Only one rider was forced to abandon due to mechanical difficulties early in the day. The other 26 were able to complete the ride, 10 of whom did it in twelve hours or less. Winds were favourable all day. It was cool at the start and stayed that way all morning and the partly cloudy skies gave us some respite from the sun. Hardly a Hairshirt at all, in fact. Thank goodness someone decided to tear up a 2 kilometre section of road in Beamsville, so we would have something to talk about. Our thanks to all the participants for giving this year's ride the best turnout in at least a decade. We even have pictures! Owen's unofficial report: Man, that was ugly! 25 registered, 17 showed up at the start and twelve of us, including two recumbents and one tandem, actually set out into the pouring rain. What were we thinking? It actually stopped raining at about 6:45 a.m., we were enveloped by warm breezes (okay, a howling gale) for a while, we had dry roads, partly cloudy skies and moderate temperatures. By afternoon the clouds had gotten scarce and temperatures (and the humidex) rose steadily. The Millennium Hairshirt was true to its name and delivered the worst of everything. Among the participants it was notable that all who started finished and four of those were rookies. It was a particularity significant ride for Tim Schoahs who rode this year's Hairshirt in memory of his mother, Evelyn. The 19 cyclists who started the 22nd Edition of the Hairshirt were undetered by the gloomy forecast and dark clouds hanging overhead. Yes it rained for about an hour or so in the morning but no one seemed to complain too much and it certainly didn't slow anyone down! Congratulations to our sixteen finishers (11 rookies). The 21st Edition of the Hairshirt took place on a hot, sunny day. Traffic was even lighter than usual, perhaps due to Father's Day--who knows? Of the ten who started only three were first time participants, and two of them managed to finish. Thanks to all who participated for keeping the Hairshirt tradition alive! The 20th Anniversary Edition of the Hairshirt saw the highest preregistration total (24) in recent years but merely an average turnout on the day. Our thanks to the fourteen who did try their luck and a hearty congrats to the twelve who finishedundefined9 for the first time. skies throughout most of the day. Things didn't get underway until 6:20. Veteran riders commented on the near perfect conditions. Ken Caven 14:58 R 70! The 18th edition of the Toronto-Niagara-Toronto Hairshirt was a standout in that it saw the lowest time in recent memory recorded by the three front finishers. Read Pat Brill-Edwards' account of this PR ride in Of Hairshirts, Hemorrhoids and Happenstance. The 17th edition of the Hairshirt will be remembered for the strong winds and long lunches! 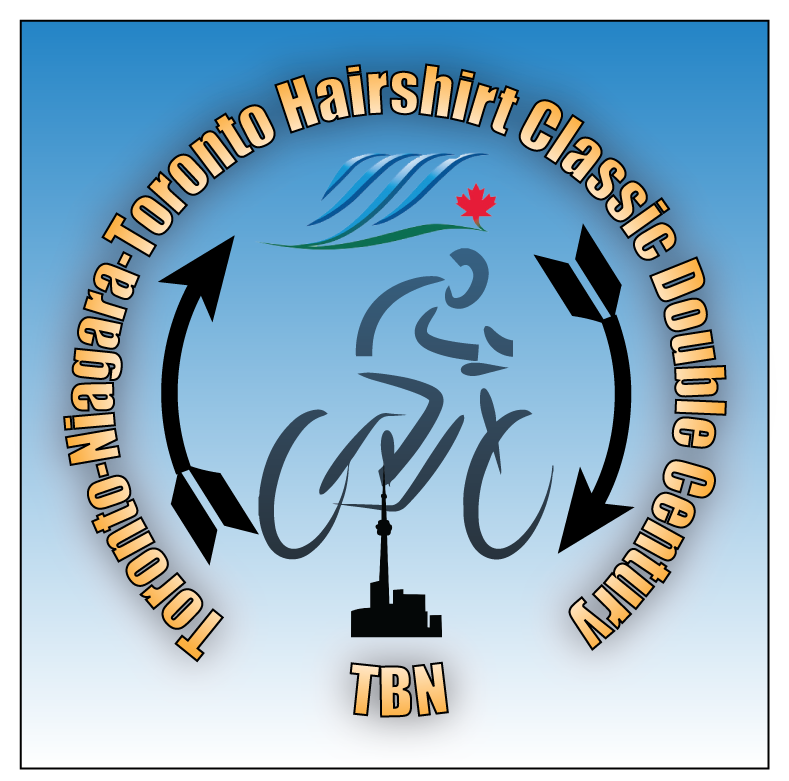 The 16th edition of the Toronto-Niagara-Toronto Hairshirt was a cool rainy one, hence the low turnout. Still, with a 90% chance of thunderstorms, any turnout is a good one!